Publicis Group has announced a shakeup of its operating model, reversing its current structure and “breaking down silos” in a move to offer clients a more simple and streamlined service. The restructure aims to simplify the way clients access the range of solutions within the network from PR to healthcare, advertising and media, while at the same time accelerate growth within the Publicis network. As part of the change, teams have been created for each individual client and will be responsible for the entire range of services and skills, no matter the discipline or the country. The teams of client officers will be supervised by chief revenue officer Laura Desmond, who will also be responsible for overseeing new business and future developments. She was previously CEO of Starcom MediaVest Group. The Group has also announced Publicis One, headed up by Jarek Ziebinski (pictured), currently chairman and CEO at Leo Burnett Asia Pacific. According to a statement, Publicis One has been created to help manage operations in the markets that are not performing as well as the network wants. 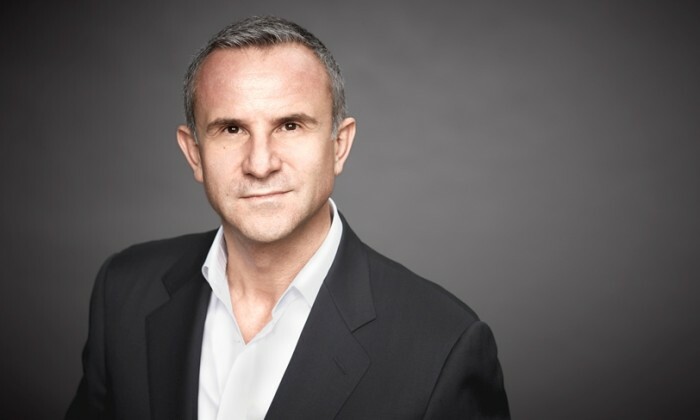 Publicis Communications will be led by Arthur Sadoun, chief executive officer. This hub will be comprised of all creative networks: Publicis Worldwide, MSL, Nurun, Saatchi & Saatchi, Leo Burnett as well as BBH and Marcel. It will also include the production hub, Prodigious. Publicis Media will be led by Steve King, chief executive officer, and will bring together Starcom Mediavest, ZenithOptimedia, Vivaki, Performics, MRY, Moxie or RUN and all the associated entities. Publicis.Sapient is a platform designed for tomorrow’s world: a world of digital platforms. Led by Alan Herrick, chief executive officer, this hub includes Sapient Consulting, SapientNitro, DigitasLBi, Razorfish and all the associated entities. Publicis Healthcare led by Nick Colucci, chief executive officer, is an integrated Health and Pharma solution. It covers all of the group’s clients’ needs, from a new product launch to the transition to generic branding, including digital applications and sales force management. All chief client officers will report to Maurice Lévy when their new roles kick in on 2 January 2016. Each brand under the Publicis Group will continue to operate as its own entity, with its own brand identity. However, the change is made to reshuffle the current agency and holding company to better focus on the client’s needs. At Lok Fu Place, it sees a larger-than-life claw machine filled with a pool of emoji balls while Stanley Plaza features a jumbo em..
Newsjacking can be an effective PR and marketing strategy. ..